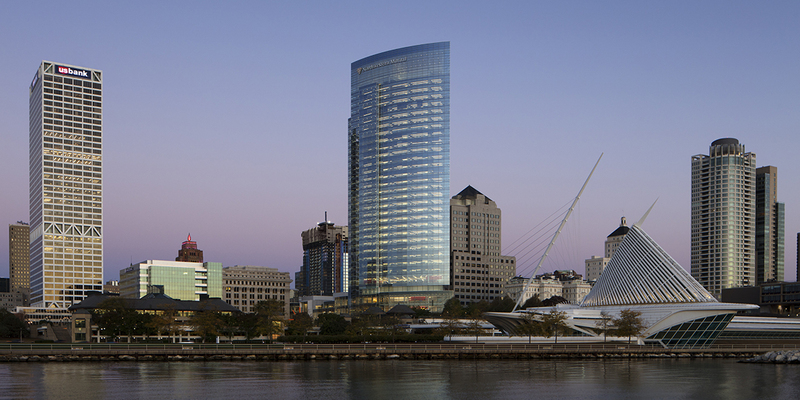 Northwestern Mutual, one of America’s largest and successful insurance providers, is investing in a signature development located in downtown Milwaukee, Wisconsin. The development consists of a high-rise office tower and commons area located on a premium site next to an art museum and lakefront. 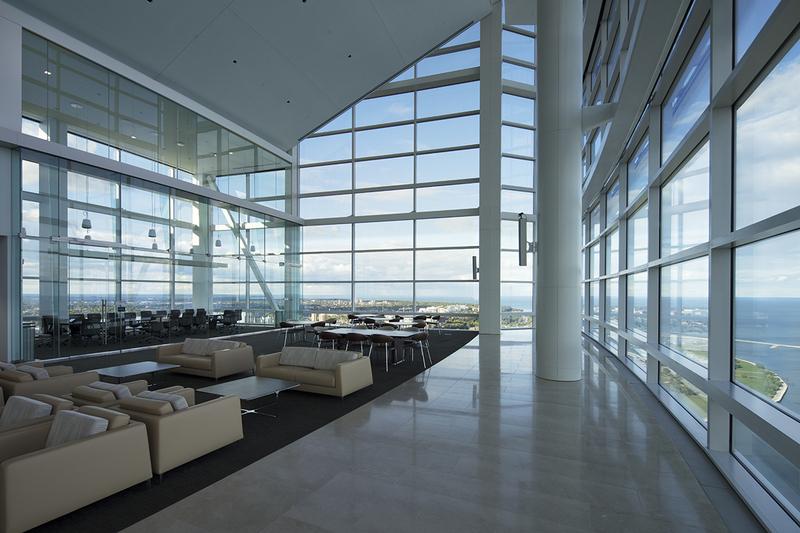 Northwestern Mutual demolished an existing 16-storey granite and glass office tower, replacing it with a new 32-storey office tower and 3-storey podium space known as the Commons to fill the entire 1.1 million ft2 site. 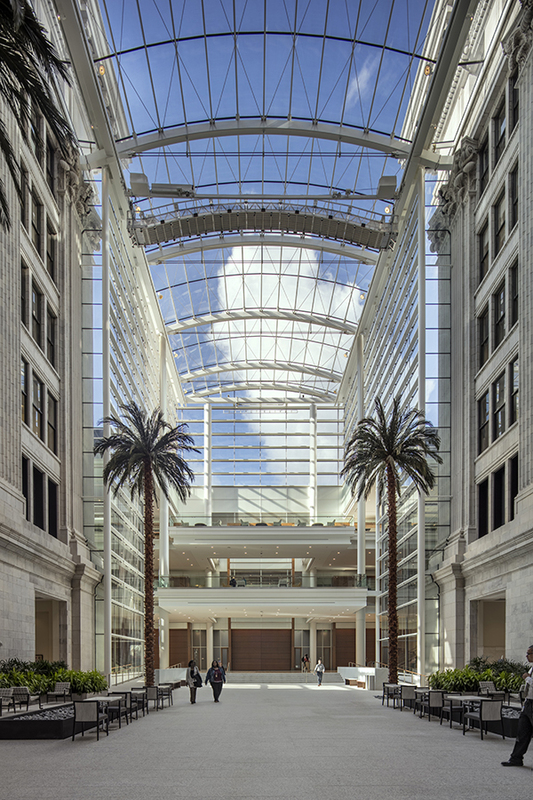 The Commons is connected to the existing 1900’s historical south office building, employing high-performing glazing and skylight options. The additional space includes office spaces, assembly spaces, training rooms, conference centres, dining spaces and terraces for employee use. Challenge: To deliver an optimized and cost-effective exterior wall solution for the Commons and lower podium of the office tower, and realize the architectural design intent for the office tower curtain wall. 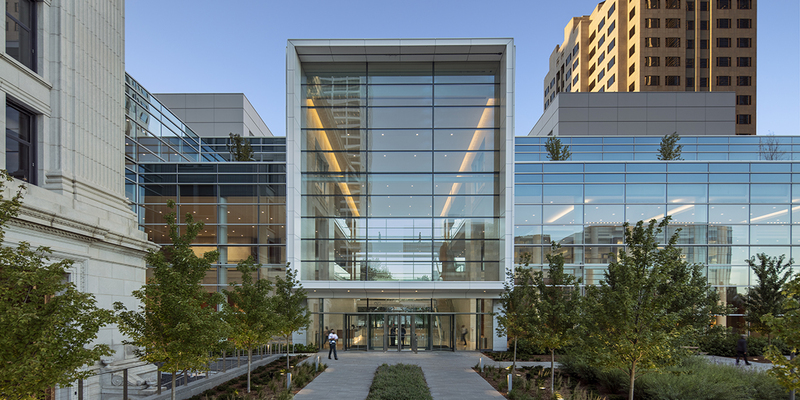 Solution: Along the Commons and lower podium, the exterior wall design uses cost-effective, high-span glazing systems optimized for framing dimensions and layout to increase thermal performance. The 10’ wide x 15’ panel size requirement for the tower curtain wall, double the industry standard, optimizes profiles to meet increased design loads, and slim, minimal framing for high performance.